If you follow along on Instagram, you've already heard the news... there are some new items listed in my Etsy shop... Catnip Donuts! Now, you can find play donuts for kiddos and kitties! I'm pretty excited about this, and to be honest, so is our cat, Dexter. These donuts are absolutely stuffed with catnip and he lovesss them. 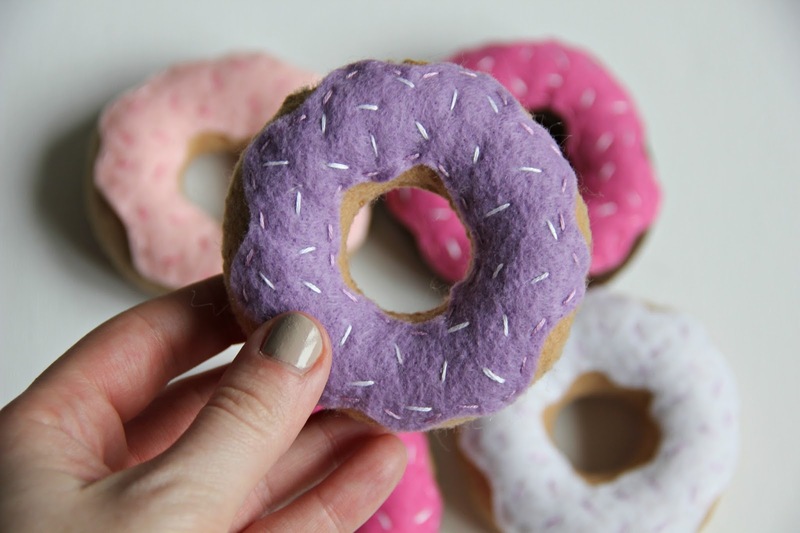 They're slightly smaller than the life-size play donuts I have available for the kids making them the perfect size for your furry friends. Ok, I'm going to let you in on a little shop secret. Since I have something for kids and now cats in my shop, the next thing is something for you! 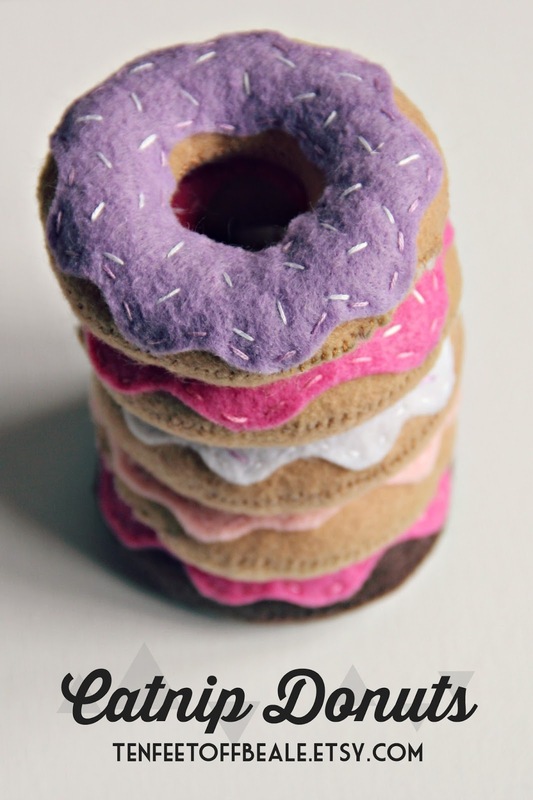 I may or may not be working on a special wearable donut accessory. Eeeep! There will be a sneak peek soon on Instagram!! I just have to work out a few details first. So, help me out! Follow along on Instagram and check out my Etsy shop... your cats will thank you.